There has been a debate for a while now that I never really understood. Not that this rule is necessarily enforced, but we have all heard the fact that shouldn't wear white after Labor Day or before Memorial Day. Why is this? For years, I just assumed it was due to some type of religious rule that I was unaware of and, for the most part, just ignored the rule. I mean, white looks good. Why would I stop wearing it just because of some weird fashion law? For whatever reason, I decided this year I would look up the reasoning behind this bizarre rule we have all been taught throughout the years. The crazier thing, there really isn't one exact answer to give you. There are plenty of theories, but not a set in stone reason behind this mentality. Granted, my research started and stopped on the first page of Google, but that was enough to find what I was looking for. I have news for any of you people who follow this fashion law, you don't need to. It isn't due to some religious or strategical mentality, just a weird code that was made up for too long ago that we have never really questioned. 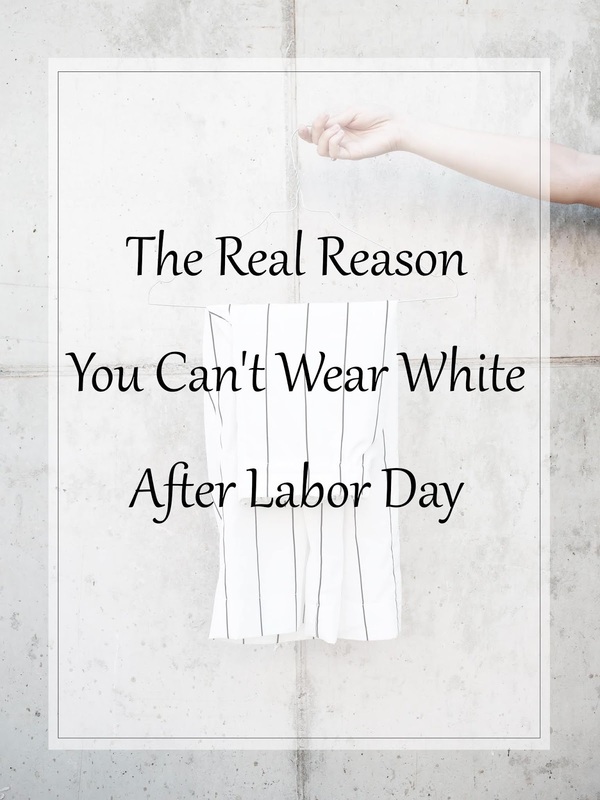 So, why can't you wear white after Labor Day? There are a few theories out there, but for the most part, it was due to the changing of seasons. Back in the day of 24/7 formal wear and thousands of layers, white was the best pick for the summer months since it was lighter and didn't soak up as much sun. This, for the most part, makes sense. 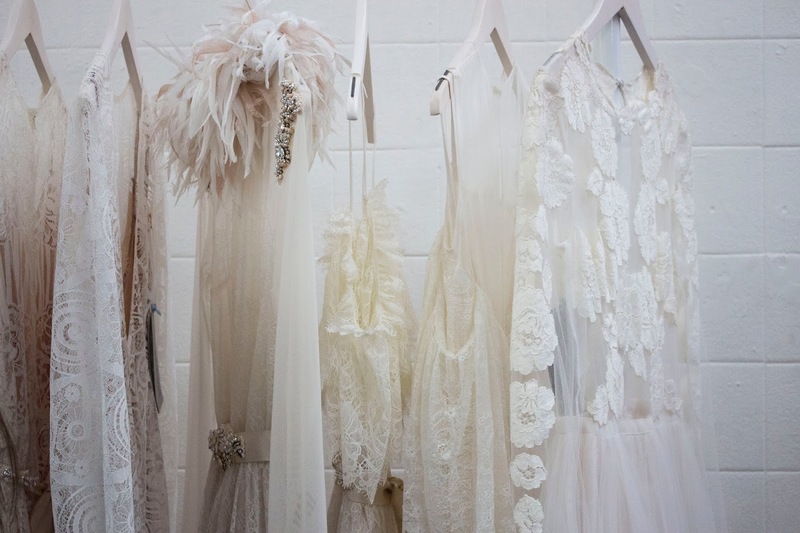 It is well known that lighter shades like white can keep you more relaxed in hotter temperatures. Once it gets colder outside, we naturally transition to darker shades so that we can soak up more of that heat from the sun. Then there is the theory of high profiles making this rule back in the 1800-1900s. Again, this isn't necessarily a fact but an intelligent guessing game. It is said that white was one of the crazy fashion rules that high society ladies came up with to distinguish themselves from the less fortunate. They wanted to put themselves apart from others, so they created silly regulations that would help them identify who was worthy of bringing into their circles. White clothing was designated for summer resorts and weddings but had no place in the fall months. However, this wasn't a rule followed be all elitists (I mean, have you seen what Coco Chanel wore all the time?). To some, white was worn at summer homes in leisure while people who didn't make as much money wore darker clothes in the dirty cities. To others, this was a ridiculous ruling they didn't really think too much about. Another reason to think about is how expensive and formal white can be. Back in those days (and even now), white is a color that can become dirty fast. This means you have to take extra special care of it and clean it properly. Therefore, it was a color only the wealthy really wore. Now that we have washers and dryers in our homes, this theory doesn't make as much sense for us. No matter the theory you believe, it is clear that this ruling came long ago and for reasons we don't necessarily use today. So why do we still follow it? Maybe it is the herd mentality or just a simple lack of knowledge. Whatever your reasoning, I'm here to tell you that you don't have to follow this rule. While I can get on board with white being great for warmer weather, the color is easy to care for and can be found in almost every store. It doesn't carry the same society richness that it once held. Besides, we have proven in recent years that fashion rules were meant to be broken (hello color blocking and overlaying patterns). Go ahead, where those white pants or top during the colder months. I promise you won't be hurting anyone's feelings. Following traditions can be a fantastic thing, but this is one that might have run its course. Tell me in the comments some of the crazy fashion rules you follow without knowing the reasoning behind them. It is fascinating to see some of the things we do without the knowledge of how it originated. Let me know if there are any other crazy rules out there that you would like me to debunk!